You can now build and race a car made out of LEGO® parts with our exclusive PRO Brick wheel assembly designed with light weight wheels and nickel plated axles perfectly matched to race on a pinewood derby track. LEGO® parts don’t have the speed or proper spacing for racing. 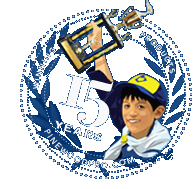 Use our Zinc 4x4 Brick to add weight so it races like pinewood derby car. Our new, patent pending PRO Brick wheel assembly allows you to build and race a LEGO car made out of standard LEGO® parts. Our exclusive PRO Brick wheel assembly is designed with ultra-light weight wheels and nickel plated axles perfectly matched to race on a pinewood derby track. Standard LEGO® wheels don’t have the speed or proper spacing for racing down a pinewood derby track. Add weight to your car with our exclusive 4x4 Zinc Brick.